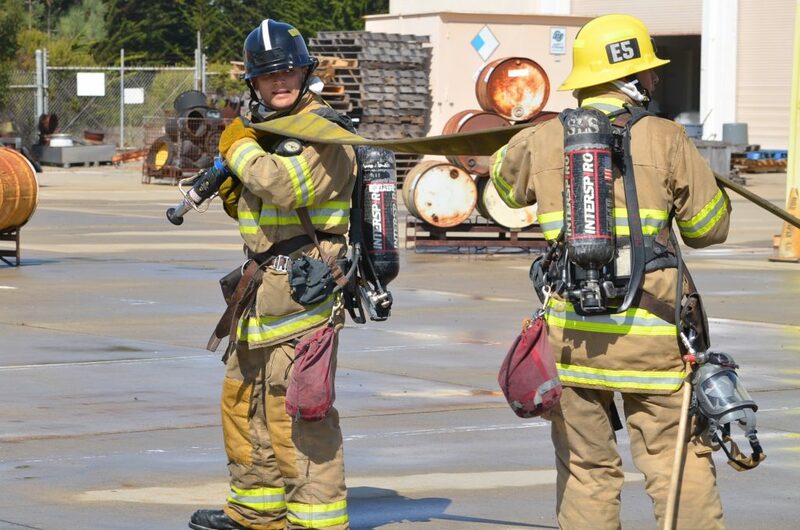 Located at the Monterey Peninsula College Public Safety Training Center in Seaside, CA, the Monterey Peninsula College Firefighter 1 Academy provides students with the State Fire Marshal’s Office / State Fire Training educational requirements for certification as a Firefighter 1. 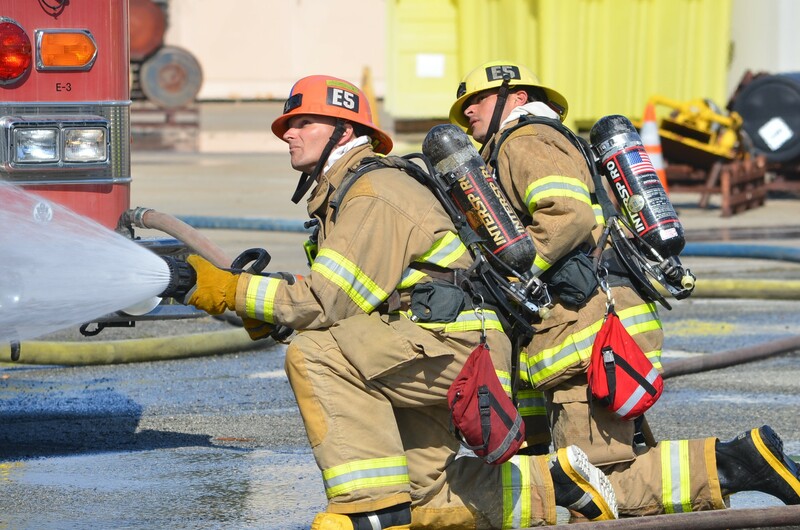 Prerequisites for the accredited academy are CPR Certification, EMT 1A, CPAT physical agility test, and a medical / physical examination that includes a spirometry test. The academy is offered twice a year. 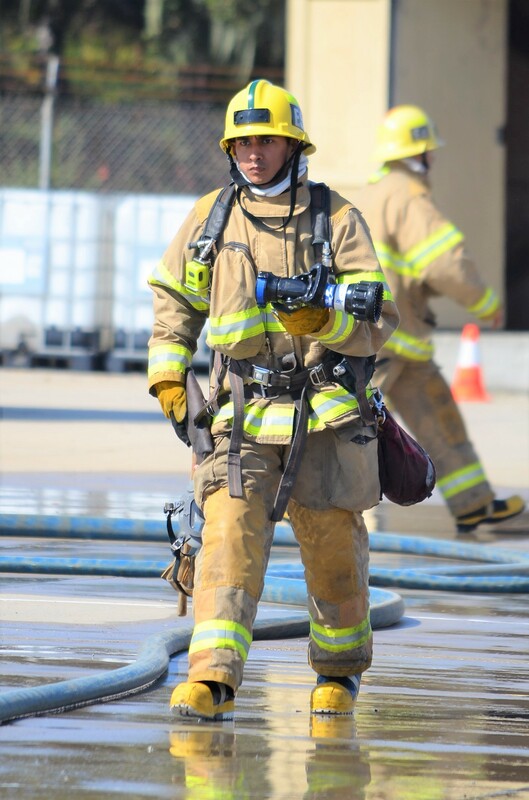 Each academy is 17 weeks in length, one beginning in February and ending in May, and the other beginning in August and ending in December. Classes meet Saturday and Sunday from 5:30 AM to 5:00 PM or longer, and from 6:00 PM to 10:00 PM on Tuesday and Thursday evenings. 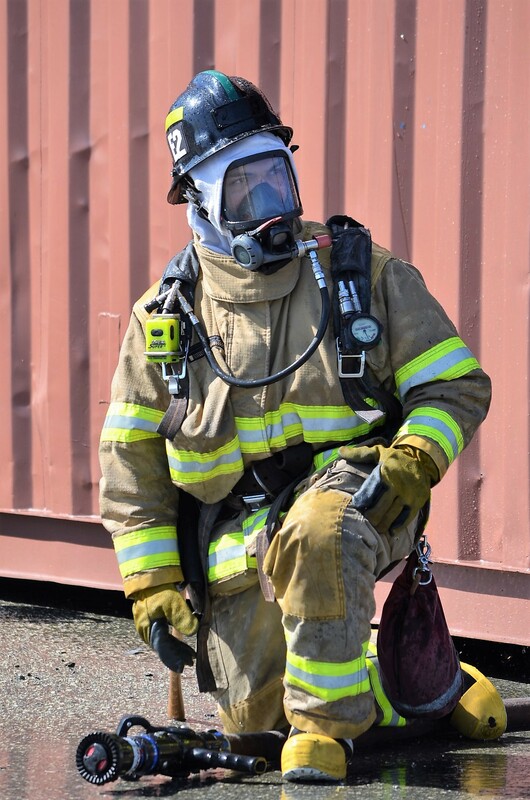 Additional class time is required for attending Rescue Systems 1, Hazardous Materials First Responder Operational and Decontamination, and wildland firefighting. 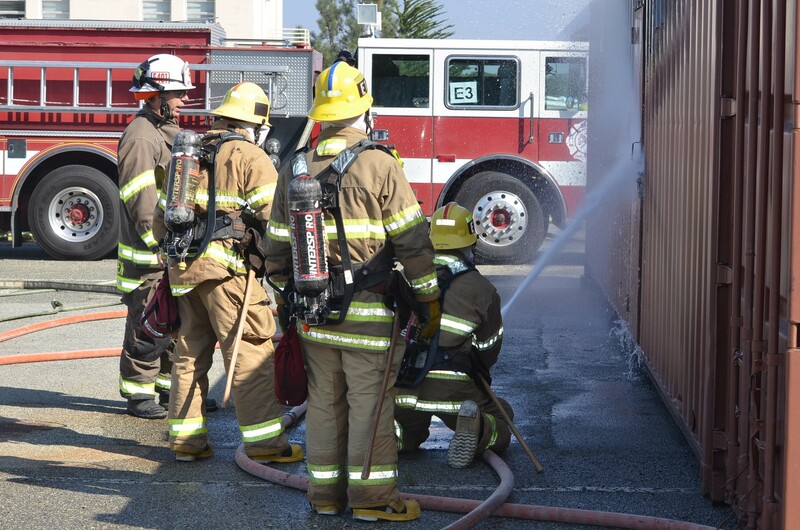 A formal graduation ceremony is conducted at the end of each academy. 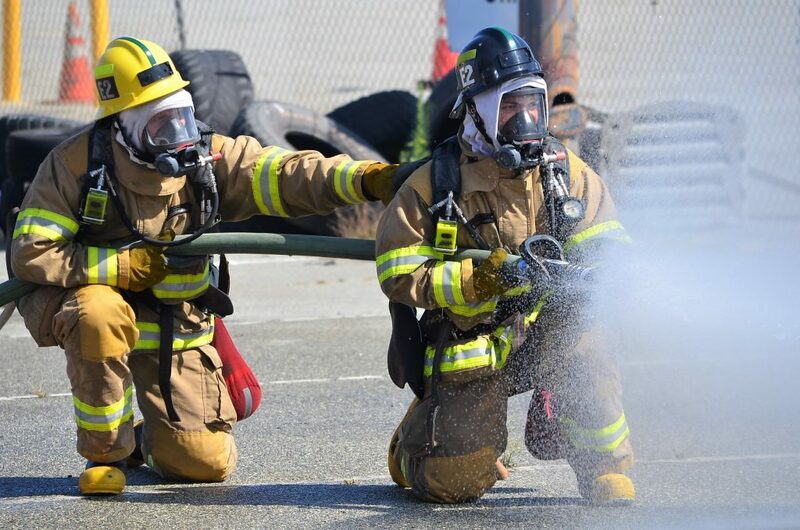 The course is worth 17 academic units and standard Monterey Peninsula College tuition fees apply along with additional costs for the fire academy. 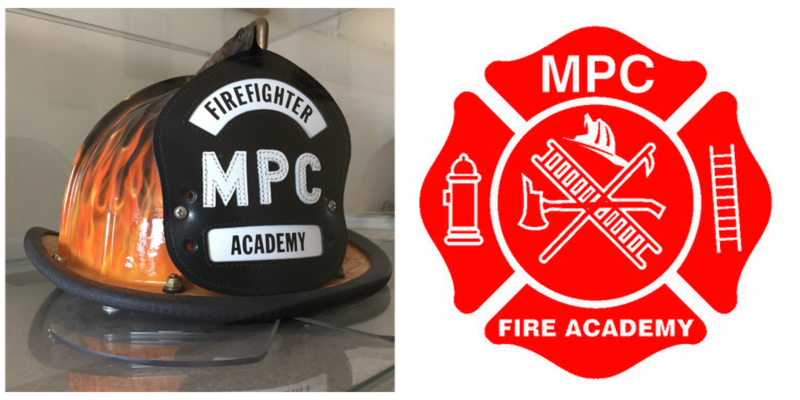 Applicant names are taken on a first come, first served basis by calling 831-646-4240 as soon as the class schedule for the semester during which the academy is offered is finalized and posted on the MPC website at www.mpc.edu. 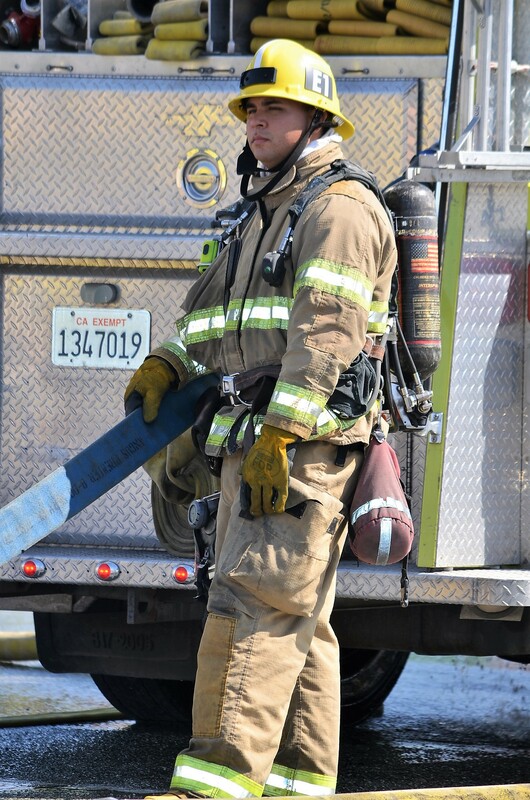 Additional information on the Firefighter 1 Academy can be obtained by calling 831-646-4240. Congratulations to the firefighter cadets from class 2018-2 that completed the fire academy and were confirmed by Monterey Peninsula College for meeting the educational requirements for Firefighter 1 during their graduation ceremony on December 20, 2018, at the Monterey Peninsula College Performing Arts Theater. 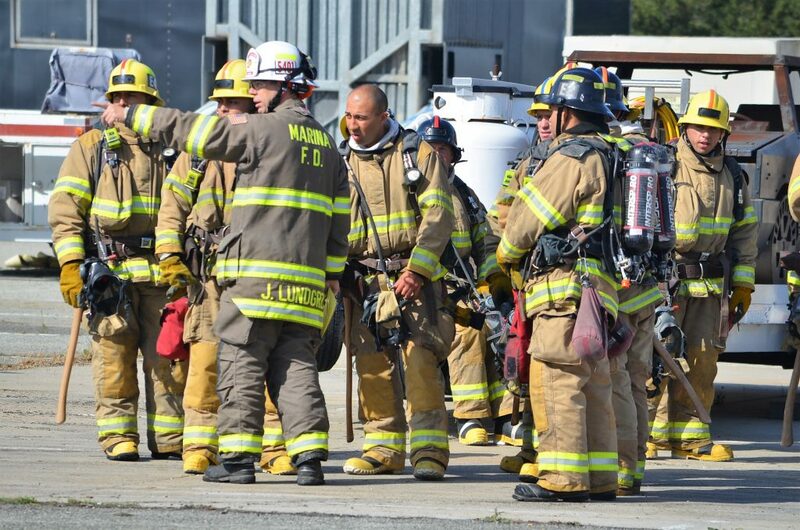 Special thanks to all the instructional staff, support personnel, Monterey Peninsula College, and the local fire agencies for their tremendous support and efforts during the academy. 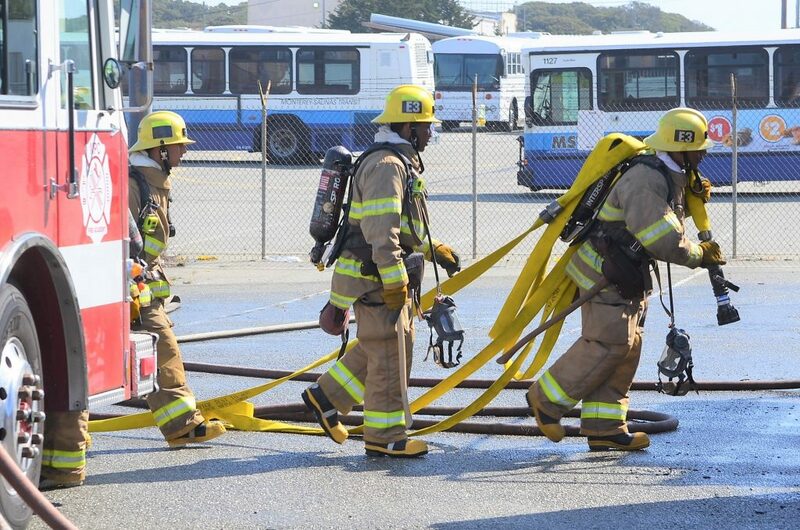 The Monterey Peninsula College fire academy would not be possible without their unparalleled dedication.